In a challenging retail environment the Liquor Marketing Group (LMG) has achieved an average national growth rate of 4.5 per cent, with growth coming from all states and territories and all major categories. 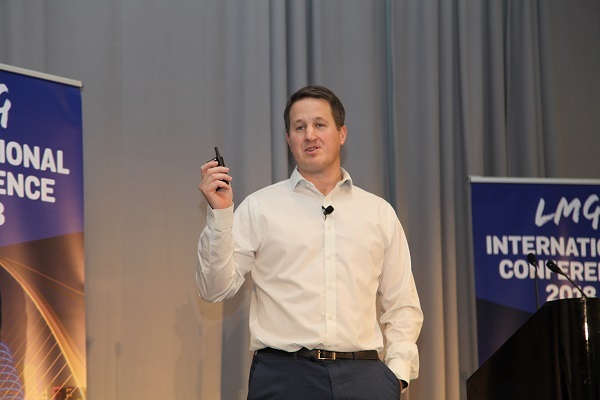 “Not only is it growth, it’s good growth from five consecutive quarters across all states and all major categories,” said LMG CEO Gavin Saunders as he opened the first business session at the 2018 LMG Conference in Dublin. Speaking to nearly 240 delegates on the opening day of the conference, Saunders said: “We’ve had to fight for every single percentage point of growth over the past few years and this is a fantastic result. There’s not just one state driving growth, all states are contributing which at times can be challenging given external factors that can influence individual states and territories,” he said. Saunders told delegates that packaged beer, bottled wine, spirits and RTD were all in growth, in all states and were tracking ahead of the industry average. “Having consistency of growth across all states and all categories has not come by buying volume or pushing individual categories, it’s come from the continual evolution of our programs. Our programs are working well and we’ll continue to focus on them over the coming year,” said Saunders. In terms of the overall LMG financials, Saunders said that back in 2015/16 the board had put forward a challenge that within a few years over 50 per cent of revenue would go back into supporting members. The aim was to increase funding for market programs to drive further investment in advertising, go to market, fitouts, pricing and rebates. “In 2015 this was 48 per cent, dial that forward to F18 and it’s over 62 per cent with plans for this to grow to almost 65 per cent in FY19. Each year we have been able to invest more and more into our programs and increase our support for members,” he said. Saunders said that marketing investment for F18 was up 33 per cent and as their competitors pull back, LMG had never been in a better position to prosper, to amplify and up weight their programs. Saunders said the group was in a good health holding approximately eight per cent of the off-premise retail market, had 750 premium outlets and was growing by 4.5 per cent. He went on to say that given their current platform and momentum, along with an additional 10.9 per cent investment in FY19 he was comfortable to say that growth next year would be much higher than four or five per cent.